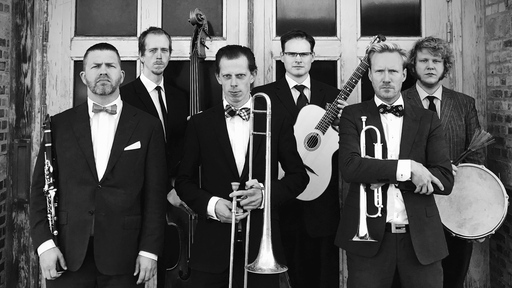 Gentlemen & Gangsters play traditional New Orleans hot jazz with a touch of swing. Focusing on authenticity in content and delivery, as well as a solid, driving rhythm, the group strive to play music that moves you and that stays true to the style of jazz giants such as Louis Armstrong, Bix Beiderbecke, Muggsy Spanier, Sidney Bechet, Duke Ellington, etc. Playing mainly for the community of swing dancers, they perform all over Europe on a regular basis and dancers from all over the world have praised them for their energy, presence, and sensitivity to what matters to a dancing audience. The Gentlemen & Gangsters play jazz music as it was meant to be played: with the flair and sophistication of true gentlemen, yet with the grittiness and brute force of hardened gangsters. 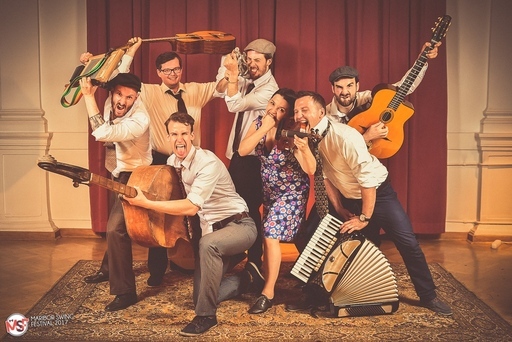 The Schwings is an ensemble of swing, gypsy and Brazilian jazz. The band stands out by an authentic, original sound as well as sincere communication with the audience. A pulsating rhythm, unusual instrument combinations, artistry, positive and lively performance – all these aspects are what best define The Schwings. 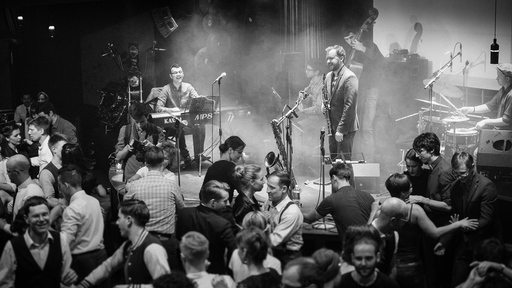 They’ve already played in Warsaw twice, at the Warsaw Lindy Hop Exchange. Now, they’re back to play for Shag dancers at the Warsaw Collegiate Shag Festival!